Travel and expense charges to reserves creates many questions on how to handle these in the files. There is one set of charges to reserves that employers should be aware of whether self-insured or not. 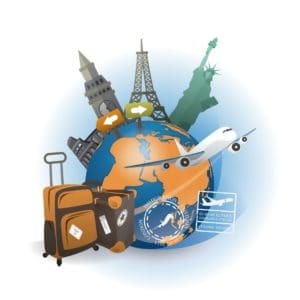 Travel and Expense charges should always be absorbed by Workers Comp insurance carrier. These charges should have been negotiated into the premiums paid in regular commercial policies. The same is true for self-insureds. In some of our reviews, we have seen adjusters charging off their expenses incurred into the file, usually under the Expense reserves. Unless there is some type of hybrid agreement between the insured and the insurance company, these charges SHOULD never show up in the reserves of a file or in the adjustment costs of a TPA. The T&E expenses may not be that apparent if you are reviewing the reserves or the payments made by the insurance carrier. These expenses are sometimes referred to as LAE (Loss Adjustment Expenses) or ULAE (Unallocated Loss Adjustment Expenses). Once again, these are calculated into the premiums or TPA costs before a policy or TPA agreement is issued. An employer should not have to pay these expenses twice. There are a few other expenses that have concerned me when reviewing Workers Comp files that should not be covered by the reserves or TPA costs. I will cover those next time. Check This Out- A Great Related Post from J&L Payroll Audit and a Premium Audit - What Is The Difference?